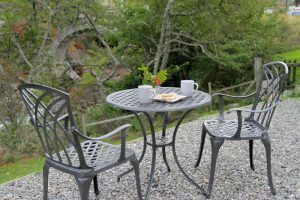 The Mole Catcher’s Cottage is situated in the small, friendly village of Carrbridge overlooking the famous old packhorse bridge. 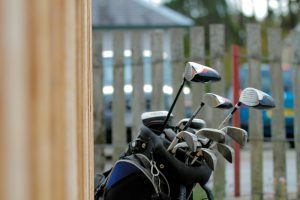 The village shop and a local craft shop along with bars and various eateries are within a few minutes walk away. 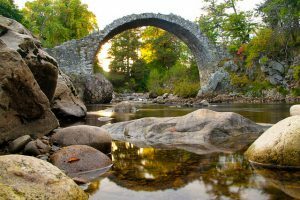 As a popular year round holiday destination Carrbridge and the Cairngorms offers a wealth of tourist attractions and a seemingly never ending list of things to see and do. 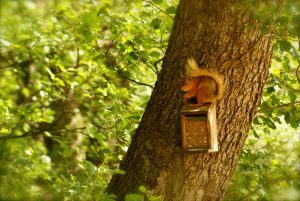 Spend a day out at the Landmark Forest Adventure Park which is just a ten minute walk from the cottage. Take a walk through the woods or along the riverside path. Take a bike ride out on one of the many tracks leading out from the village or maybe sign up for one of the many outdoor activities of which there is an abundance around the area. There’s the best of Scottish ski and snowboarding at Cairngorm and The Lecht with plenty of opportunity for other winter activities such as ice climbing, snow quad bike trekking, ski touring and winter mountaineering and ice climbing. 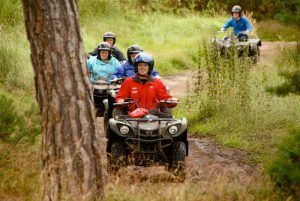 Also included on the list are horse riding, pony trekking, quad bike trekking, clay pigeon shooting, paddle boarding, sailing, canoeing, bird and wildlife watching and golf. 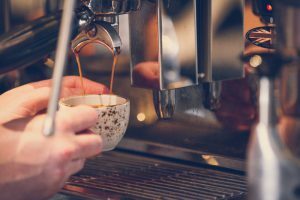 Other favourites not to be missed are the Highland Wildlife Park, a visit to the Cairngorm Reindeer, a ride on the Strathspey Steam Railway, a tour of the Speyside whisky distilleries and dolphin watching on the nearby Moray coast. And whatever you choose to do, there is always our wee cottage to come back to!